On Tuesday, the U.S. Department of Health and Human Services’ (HHS) Administration for Children and Families released the new, improved, and long-awaited Head Start Performance Standards in a Federal Notice of Proposed Rule Making (NPRM). This is the first comprehensive overhaul of the standards since they were first published in 1975. Both the early education landscape and our knowledge of the science of early learning have changed dramatically in the last 40 years, and understandably, many of the performance standards were in need of an update. Head Start is the nation’s largest pre-K program and it has come under intense scrutiny since the Head Start Impact Study found that some Head Start children do not experience the significant and lasting achievement gains that children in other high-quality pre-K programs experience. In response, advocates, policymakers, and researchers have been focused on improving the quality of Head Start so that all children leave the program prepared to succeed in school and in life. The proposed performance standards reflect the latest research on early education and Head Start in particular, and would help ensure that all Head Start programs produce the best possible outcomes. 1. Moving to full-day and full-year programs. Perhaps the most significant change in the proposed performance standards is the increase in minimum program hours. Currently, Head Start centers must provide services for at least 3.5 hours per day and 128 days per year. The new proposed minimum is 6 hours per day and 180 days per year. This new requirement would more than double the amount of time that hundreds of thousands of Head Start children spend in the classroom, increasing their opportunities for high-quality interactions with their teachers and peers. Research indicates that full-day and full-year programs are associated with greater gains in cognitive skills. In half-day programs, there's simply not enough time to allow for free choice, outside play, socialization, and other activities that support literacy, early math, and early science learning. The minimum hours proposed reflect the length of other high-quality pre-K programs that produce more consistent results than Head Start. This is also the most expensive change in the proposed standards. HHS has estimated that transitioning all programs to full-day and full-year would cost approximately $1 billion. Back in February, the President’s HHS budget request asked Congress for this funding to lengthen the Head Start day and year. It’s unclear how HHS would implement this change without substantial funding from Congress. If this change does go into effect, HHS says that programs would have at least one full year to transition to the new dosage requirements. For instance, under the proposed standards, programs would no longer need to establish a parent committee if they feel this hasn’t been an effective way to engage parents. Parent engagement would continue to be a key component of Head Start, but the federal government will no longer dictate which model of parent engagement centers need to use. HHS wants to give providers more flexibility to better meet the specific needs of the children and families served by their individual Head Start programs. These new standards are also an attempt to “make Head Start more approachable for potential grantees.” The Designation Renewal System (also known as recompetition) allows for new grantees to compete to replace lower-performing programs but it has been difficult to attract new providers. 3. Limiting suspension and prohibiting expulsion. Last year, the pre-K data collection conducted by the Department of Education’s Office for Civil Rights revealed a disturbing trend: African American students in public pre-K programs were being suspended and even expelled at a much higher rate than their white peers. As my colleague Shayna Cook has recently explained, research shows “that the use of suspension in early childhood is not only ineffective, but also can be a harmful disciplinary tool, as it denies children access to early learning.” Head Start has never condoned suspension or expulsion based on children’s behavior, but officials want to make it clear where Head Start stands on this issue since it has been highlighted as a serious problem in child care and pre-K settings in recent years. The proposed regulations state that “programs must either prohibit or severely limit the use of suspension and include requirements for programs to engage a mental health consultant, collaborate with parents, and utilize appropriate community resources should a temporary suspension be deemed necessary because a child’s behavior represents a serious safety threat for themselves or other children.” They also clearly prohibit expulsion due to behavioral challenges. Many states and districts around the country have started to implement policies limiting suspension. Head Start serves almost one million children, and this policy could set the tone for further reform around the country. 4. Monitoring attendance and addressing chronic absenteeism. Children need to attend Head Start regularly in order to fully benefit from the program. Studies of various pre-K programs find that regular attendance is correlated with better cognitive and social-emotional outcomes. Additionally, children who are chronically absent in pre-K are much more likely to have poor attendance in the later grades, making it difficult for them to catch up. Head Start currently requires that programs maintain attendance of 85 percent on average, but does not require programs to track attendance of each child. The proposed standards would require attendance to be tracked for each child, making it easier to identify and help children who are chronically absent. HHS is proposing increased support services, such as additional home visits, for children who have four or more consecutive unexcused absences or who are frequently absent. More frequent home visiting is associated with stronger social-emotional outcomes in Head Start specifically. By fostering relationships between parents and teachers and enabling teachers to understand children’s lives outside of the classroom, home visiting may be able to address the root cause of chronic absenteeism by linking families to additional services. For instance, if a child isn’t coming to school because a family has limited access to transportation, the Head Start provider could help the family find transportation services. 5. Allowing for local innovation. Taking HHS’s goal to limit micromanaging one step further, the proposed standards would allow Head Start programs to waive some of the structural requirements, such as class size, if and only if they have evidence to suggest that a locally-designed model more effectively serves their youngsters. This increased flexibility could encourage local innovation and allow programs to better address the needs of their communities. Programs would also be able to use different curricula and professional development models if they are willing to work with research experts to evaluate their effectiveness. 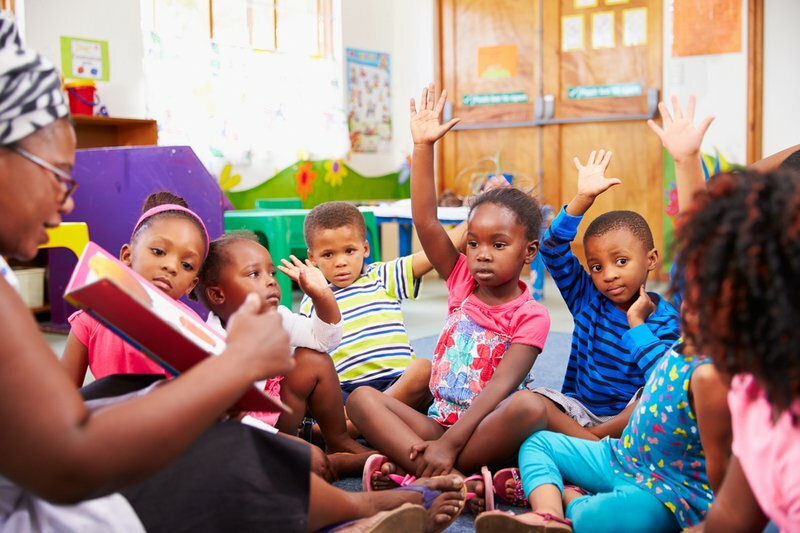 The role of Head Start needs to adapt as state pre-K programs expand, and this flexibility may enable Head Start programs to make stronger connections with high-quality state or local pre-K programs. These new standards give Head Start a much-needed makeover without changing the core purpose and function of the program. The proposed standards are up for public comment until August 18, 2015. There are other noteworthy changes that we'll be digging into more over the next several weeks as we prepare to submit our comments. Update: HHS' Administration for Children and Families extended the public comment period and will now accept comments until September 17, 2015. "